Have a Boston Red Sox fan in your life who needs a special and unique gift? 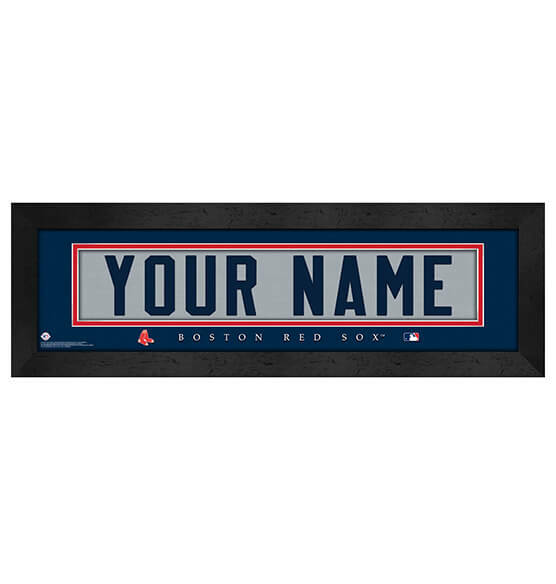 Give them our spectacular Boston Red Sox Personalized Nameplate Framed Sports decor for a walloping four-bagger of a gift. This premium wall art is made to order — just specify the name you want featured up to 12 characters. Designed to look like the back of a BoSox jersey, this piece is a must have for the die-hard fan in Bean Town and beyond! Featuring an eye-catching horizontal perspective, team colors and an elegant black frame, this personalized nameplate will be an item they'll cherish forever.